Fort Worth-Teresa Hornsby loving mother and sister passed away Thursday, Nov. 15, 2018, at the age of 71. Celebration of life: 2 p.m. Monday, Nov. 19, 2018 at Brown, Owens & Brumley’s Joe B. Brown Memorial Chapel. Visitation: 2-4 p.m. Sunday, Nov. 18, 2018 at the funeral home. Teresa was born September 22, 1947 in Sabana Grande, Puerto Rico to the late Luis Torres and Flora Martinez. 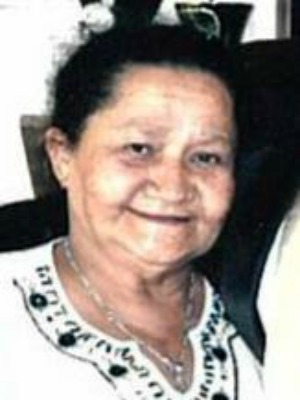 She worked as a caretaker and a quality control inspector, but she loved spending her free time listening to her music, cooking, playing dominoes and playing card games. Teresa was a person who simply spent her life devoted to God, friends and her family. She will be greatly missed, but she will be forever in our hearts. She was preceded in death by her parents and brothers, Luis Angel Torres, Jorge Luiz Alicea and Fredilan Lopez. Survivors: Son, Louis Hornsby and wife, Lisa; son, Rafael Diaz and wife, Brandie; son, Carlos Hornsby and wife, Hollie; grandkids, Garrett Hornsby, Samantha Diaz and Ralfie Diaz; sister, Sol Jewell and husband, Bud; nephews, Lucas Jewell and Everett Jewell; niece, Rachael Jewell and many other extended family and friends. The post Teresa Hornsby appeared first on Brown Owens & Brumley Family Funeral Home & Crematory.